A version of this article was published in The Daily Record on October 10, 2013. When settling litigation matters involving multiple defendants, the settling parties must be extremely careful to comply with the Maryland Uniform Contribution Among Joint Tort-feasors Act. In fact, Maryland's highest appellate court recently addressed this issue in Mercy Medical Center v. Julian, where it held that a settlement agreement was ineffective to limit a hospital's liability in a medical mistake lawsuit, because the agreement did not comply with the Act. The concept of a "joint tort-feasor" is derived from the notion that a single injury can result from the joint actions of two or more individuals. The Act dictates that each person who is determined to be a joint tort-feasor is liable for the entire amount of the injured party's damages, regardless of whether one tort-feasor caused more or less injury compared to the other. For example, in a medical malpractice matter, an aggrieved patient may allege that his injuries were caused by negligence on the part of his treating physician and the hospital, regardless of who caused more of the harm. A defendant facing the prospect of paying all of a judgment to an injured party will frequently seek "contribution" from other tort-feasors under the Act. "Contribution" is the right of a joint tort-feasor to demand that the other tort-feasors supply their proportionate share of what is required to compensate the injured party. 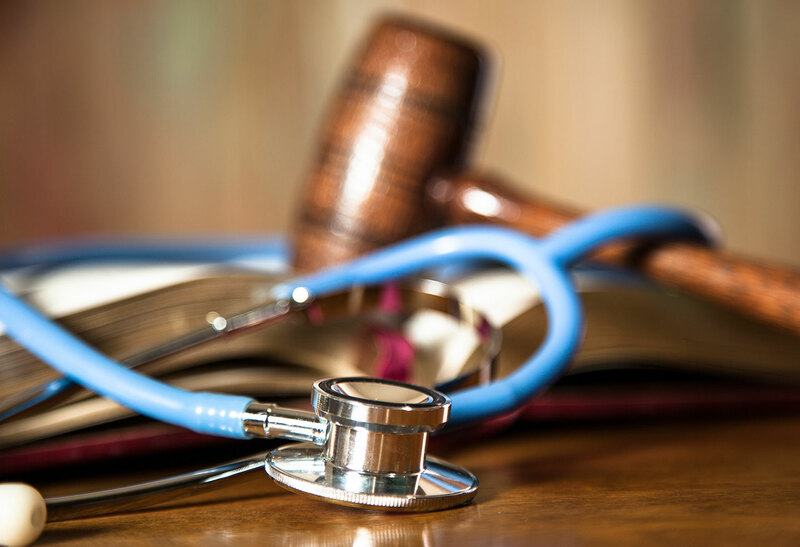 For example, in a medical malpractice case where a doctor and a hospital are both sued for negligence for the same injury, the doctor may choose to assert a claim for contribution from the hospital. The Act also limits contribution liability under certain circumstances. The statute provides that a release by the injured person of one joint tort-feasor will relieve that joint tort-feasor from liability to another joint tort-feasor if (1) the release is given before the right of the other tort-feasor to secure a money judgment for contribution has accrued; and (2) the release provides for a reduction, to the extent of the pro rata share of the released tort-feasor, of the injured person's damages recoverable against all other tort-feasors. In Mercy Medical Center v. Julian, Christopher and Wycinna Spence sued Mercy Medical Center and Dr. Emerson Julian, alleging that a medical mistake by both Dr. Julian and Mercy resulted in their son's cerebral palsy and ultimate death. Prior to the trial, Mercy entered into a settlement agreement with the Spences which provided that Mercy would be dismissed from the case and released from all further liability in exchange for a payment to the Spences. The release specified that if Mercy were found liable at the trial against Dr. Julian, then the Spences' recovery against Dr. Julian would be reduced by the hospital's share of liability, and the hospital's liability to Dr. Julian would be extinguished. The language in the release did not contain an admission of liability by Mercy. Further, Mercy's liability was not adjudicated at the trial. The jury awarded the Spences $2,186,342.50 against Dr. Julian. Following the verdict, Dr. Julian sued Mercy for contribution, arguing that Mercy's release did not comply with the Act, and was thus ineffective to bar a contribution claim. The Maryland Court of Appeals held that, without a determination of Mercy's joint tort-feasor status, which could have occurred either by Mercy's admission or by the trial court's finding of liability, a release of liability in the settlement agreement did not satisfy the requirements of the Act. Therefore, the release did not extinguish the hospital's potential contribution liability to Dr. Julian. Accordingly, while Mercy may have thought that it was done with this matter after making a settlement payment to the Spences, now Mercy may have to make an additional payment to Dr. Julian. Often, parties do not like to admit liability in a settlement agreement. However, it is now clear that failing to do so will invite subsequent contribution lawsuits from other joint tort-feasors.